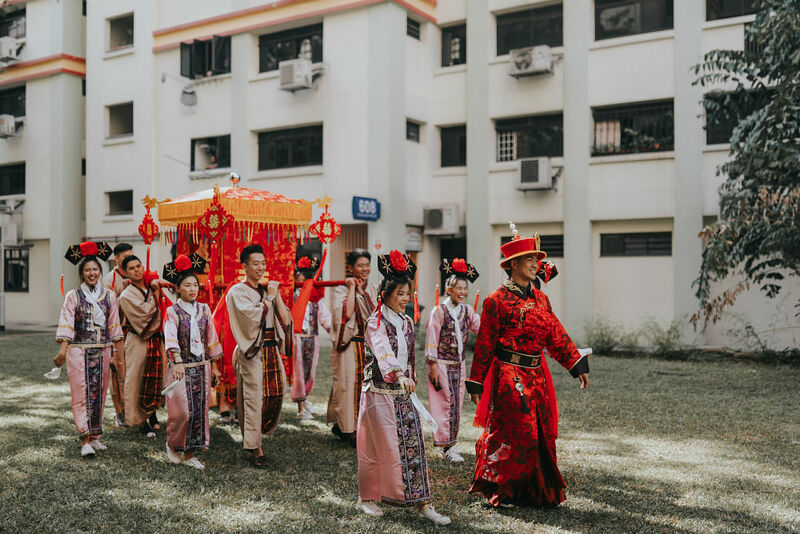 A bridal sedan chair and their bridal party in full period costumes! 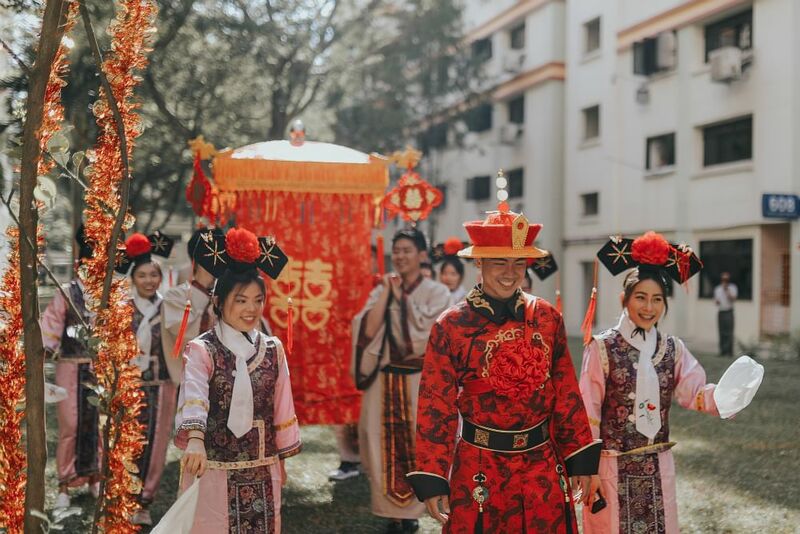 Here's how Jolene Chua and Tan Jiahui pulled off their Yanxi Palace wedding gatecrash. 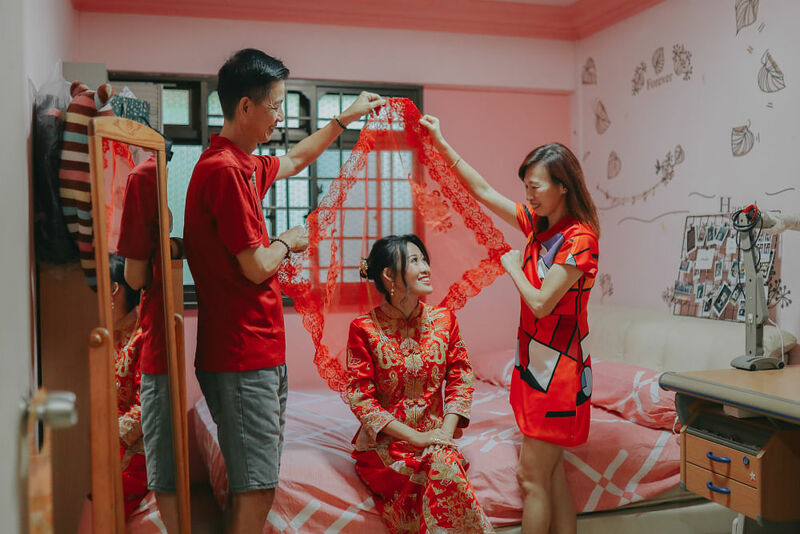 "Jiahui and I met and fell in love when he was 15 and I was 14, and our groomsmen and bridesmaids have been there to witness our ups and downs since then, so we wanted them to be a big part of our wedding day. 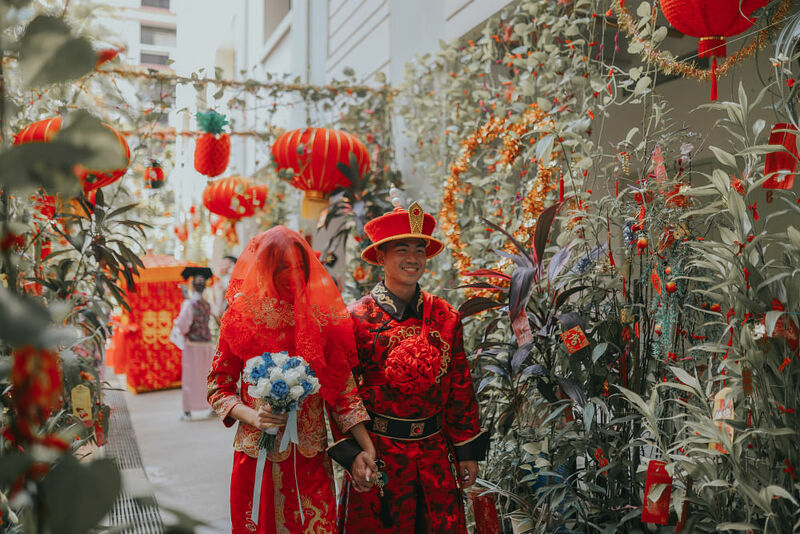 We always knew we wanted something fun and interesting for our wedding. 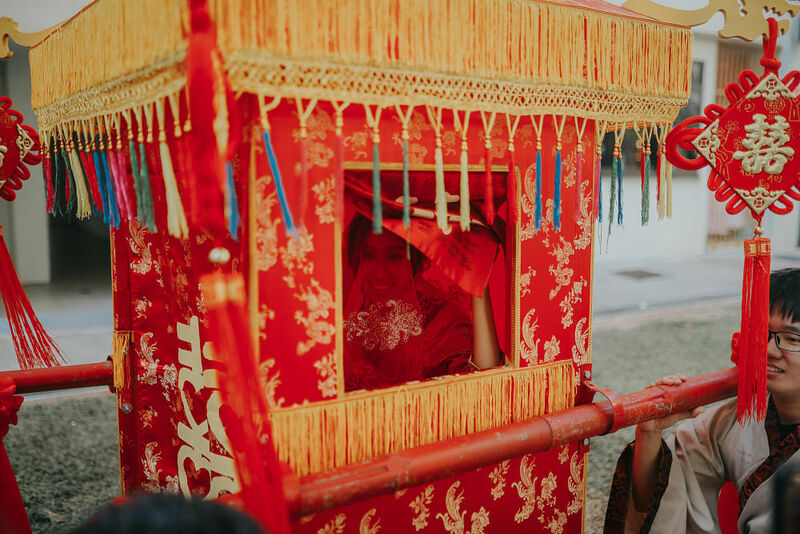 One day, Jiahui casually suggested using a bridal sedan chair as our mode of transport, as opposed to a bridal car. 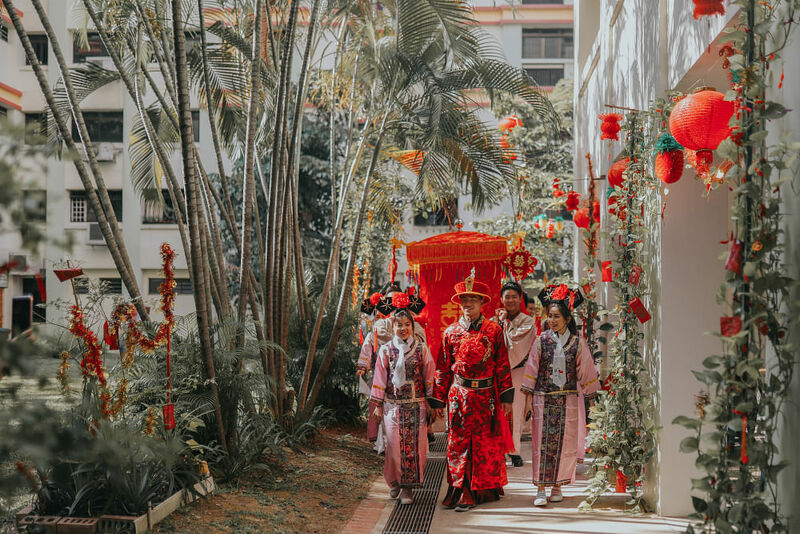 This idea was placed on the back-burner until the drama, Story of Yanxi Palace came about. 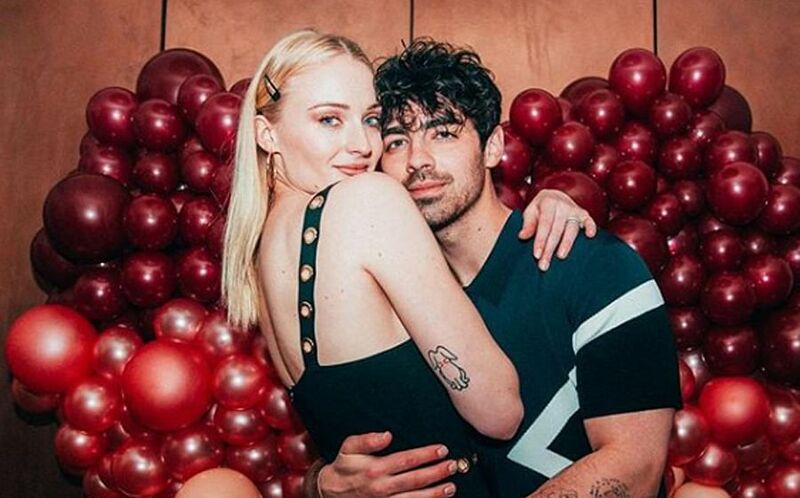 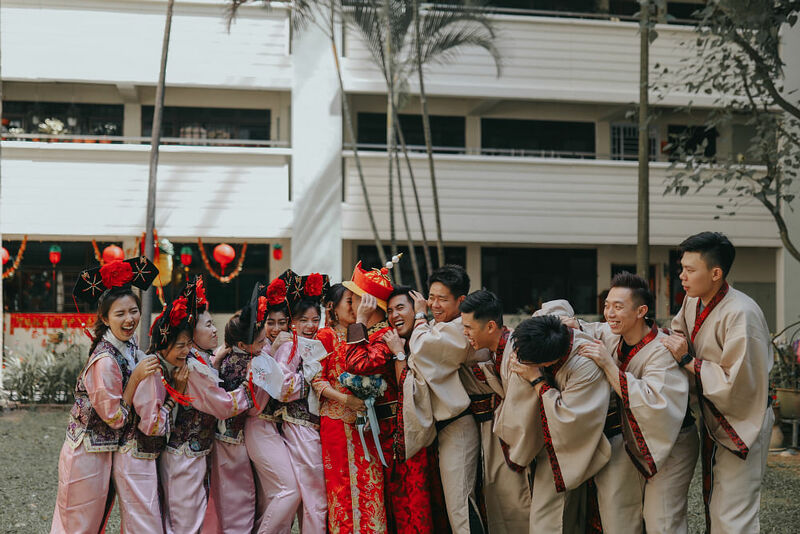 We were inspired with more ideas like having our bridal party be dressed in period costumes – princesses (格格) for the girls, scholars for the guys –and eventually pieced them up to this themed morning gatecrash." 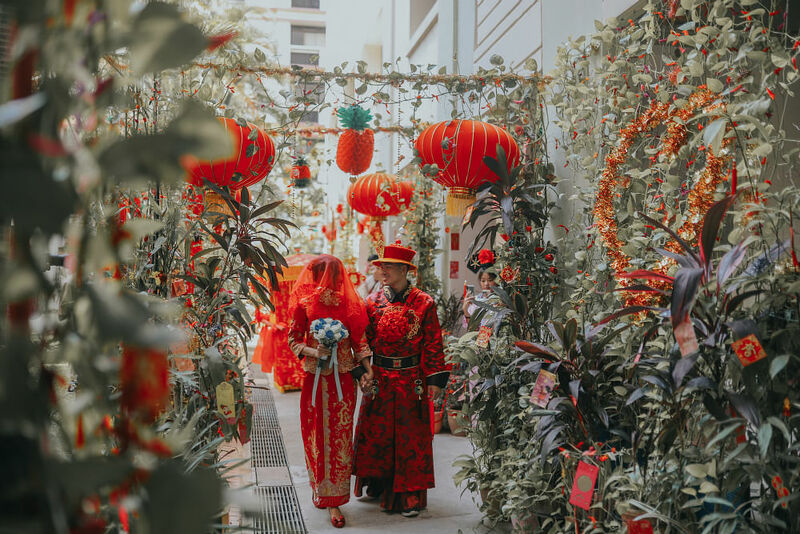 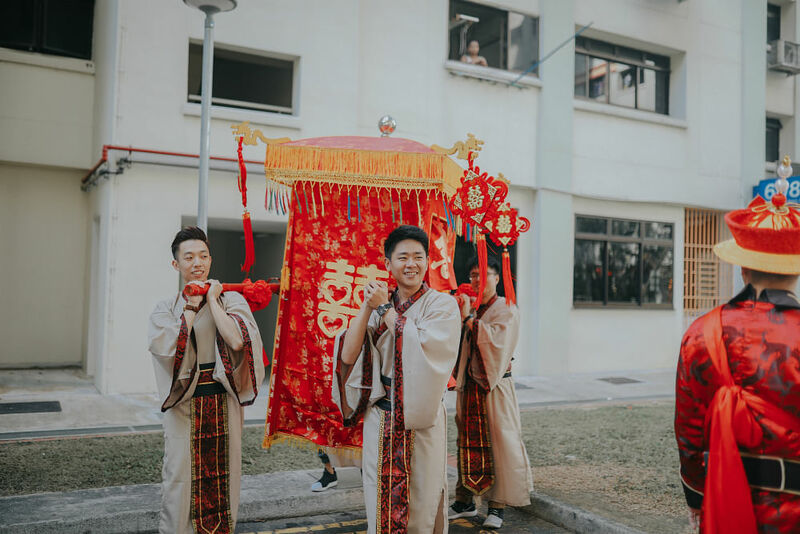 "Funny thing was, Jiahui’s parents were so excited about the theme that they wanted to get their own traditional outfits, too! 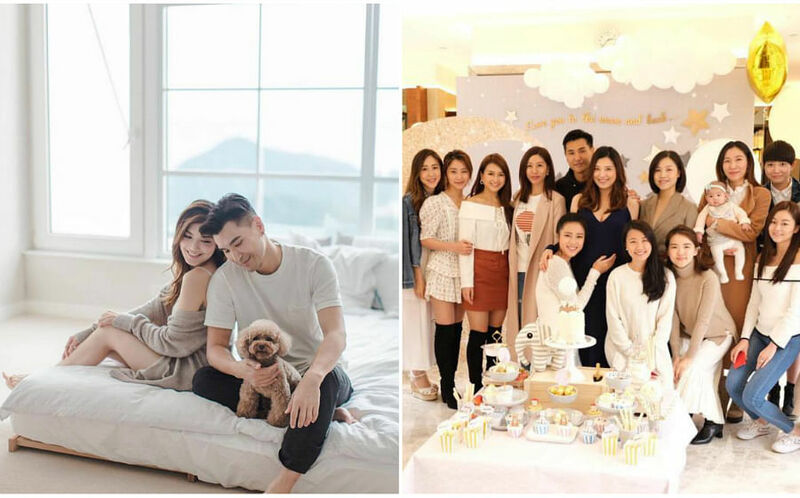 To keep our wedding prep enjoyable and stress-free, we kept to a budget and spent within our means. 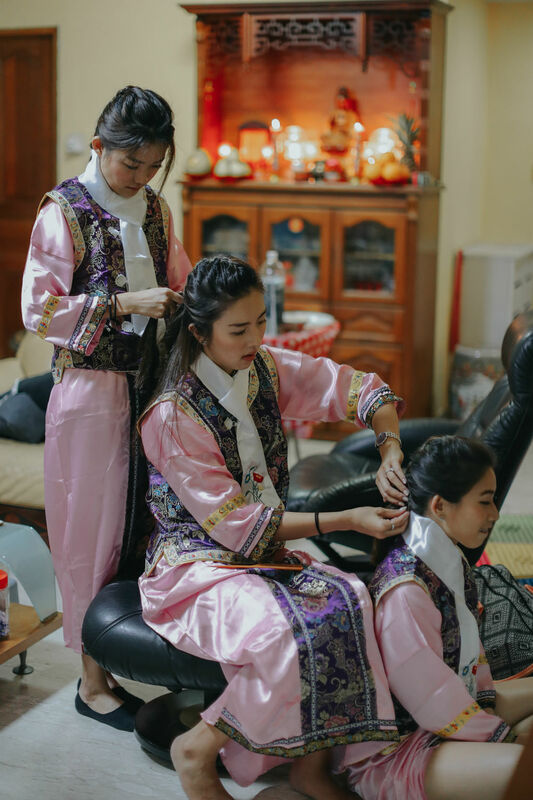 Our costumes and even the bridal sedan chair was bought from Taobao and shipped over with the help of Jiahui’s cousin and my best friend." 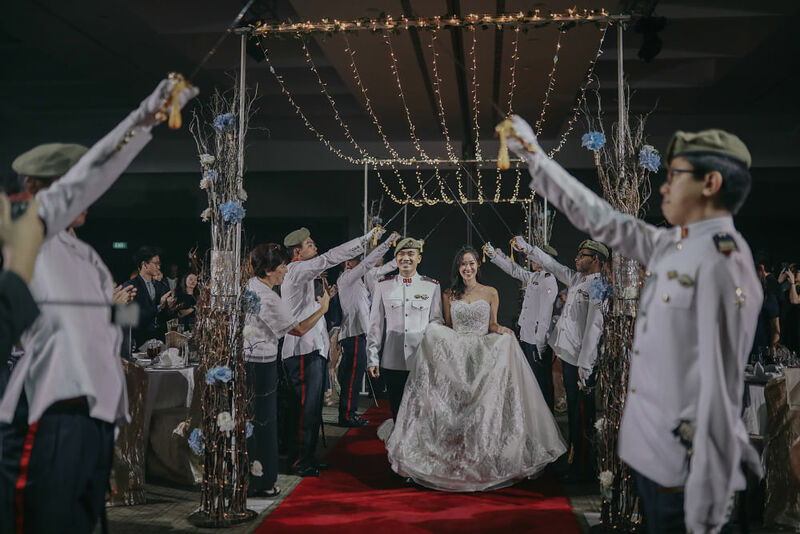 "It’s a wedding that exceeded our imagination and expectations, and it was extremely magical for us. 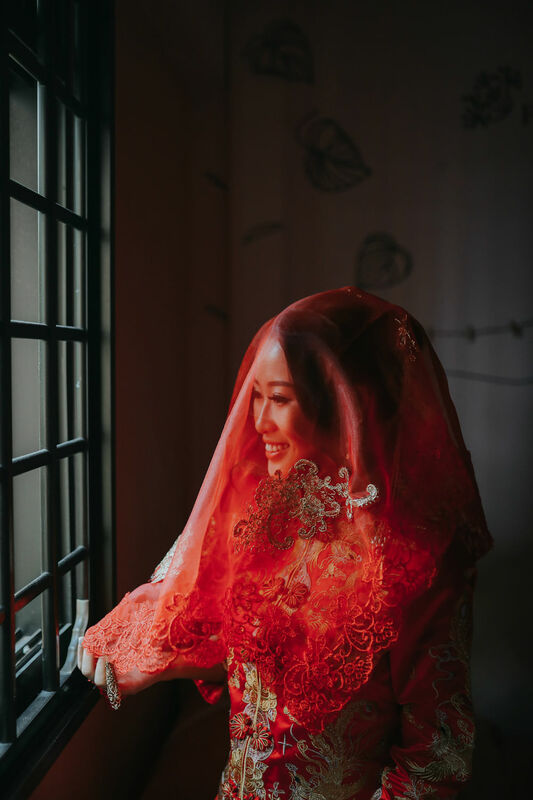 We enjoyed the whole process very much." 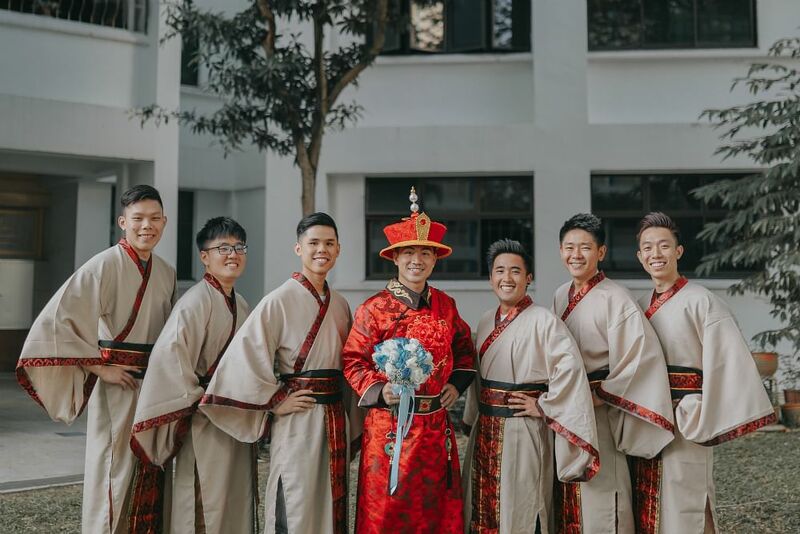 Thanks for sharing your wedding with us Jolene (@laksaramen) and Jiahui (@jiahuikorkor). 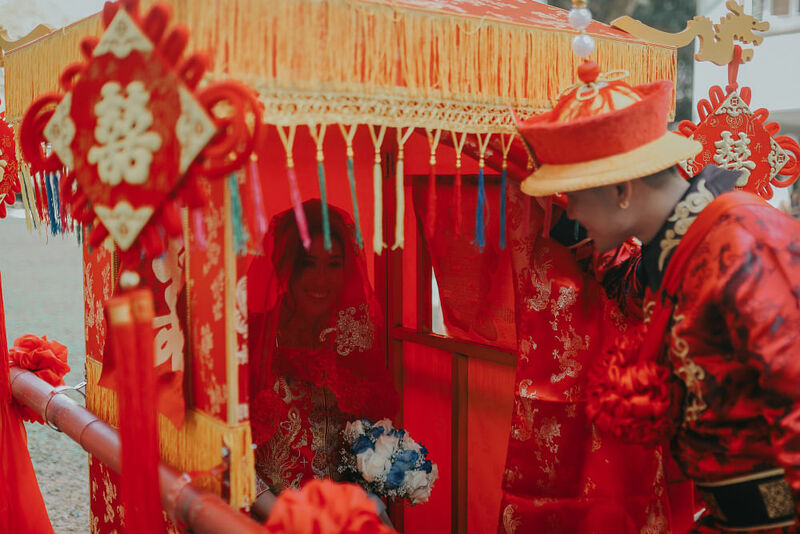 Story and images are published with permission from Bridelope Productions and the couple.